As a foreigner, no matter where you are, one of the most daunting tasks you’ll face is getting your hair cut in another language. For women and men alike, hair can be such an integral part of your identity, and a bad haircut can affect you for weeks, if not months. 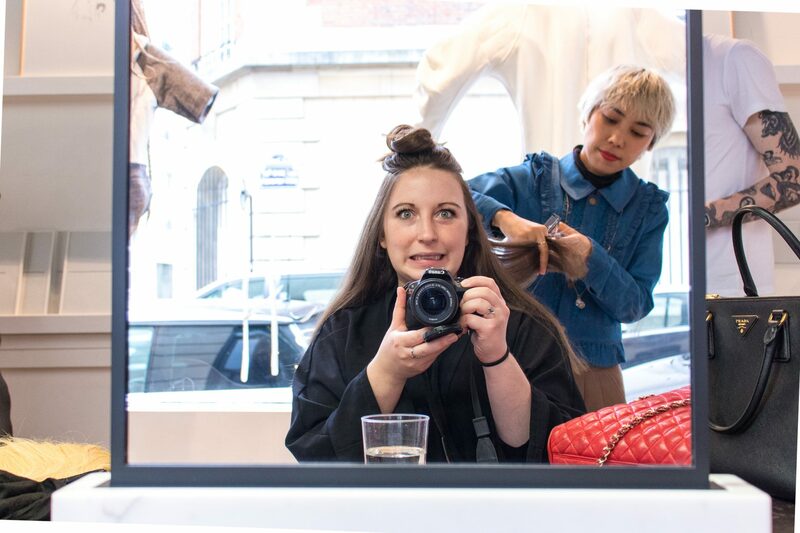 I’ve had my hair cut a few times in French-speaking salons and not been in love with the results (likely due to issues with the very specific French vocabulary relating to haircuts), so I went on the hunt to find the best English speaking hair salon in Paris. How gorgeous are these vintage hair accessories? Originally from Spain, Marisol Suarez worked as a stylist in the fashion industry for years, travelling all over the world for fashion weeks and shoots, as well as creating wigs and extensions in her Paris atelier. 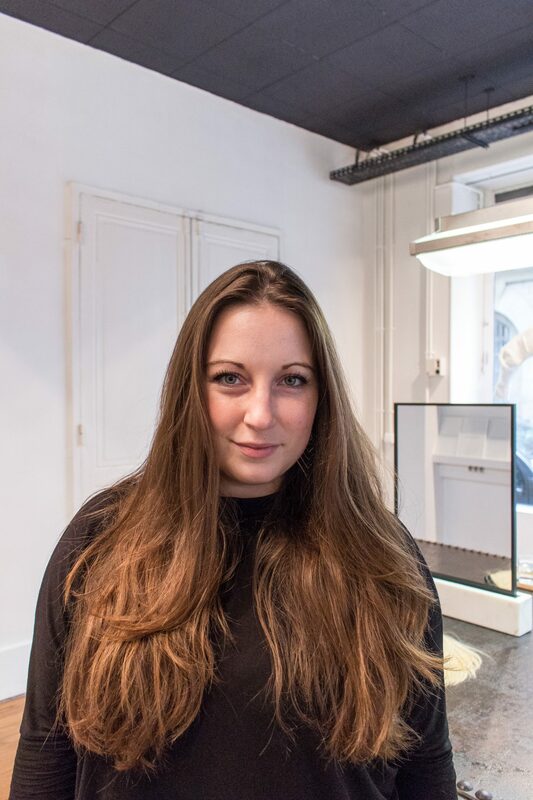 Her first salon in Paris, Studio Marisol, opened five years ago and is just as much a gallery for her sublime work as it is a place to have one’s hair cut. The decorations in the windows are all wigs, and she has designed various objects using hair, like a giant snowflake in the window at Christmastime, and currently (as you see in the photo above) a cradle sitting in the center of the entryway. A bit odd-looking at first glance, her creations become fascinating as you look more closely and realize how much intricate work is involved in making everyday things out of hair (there are some photos of her amazing designs here). 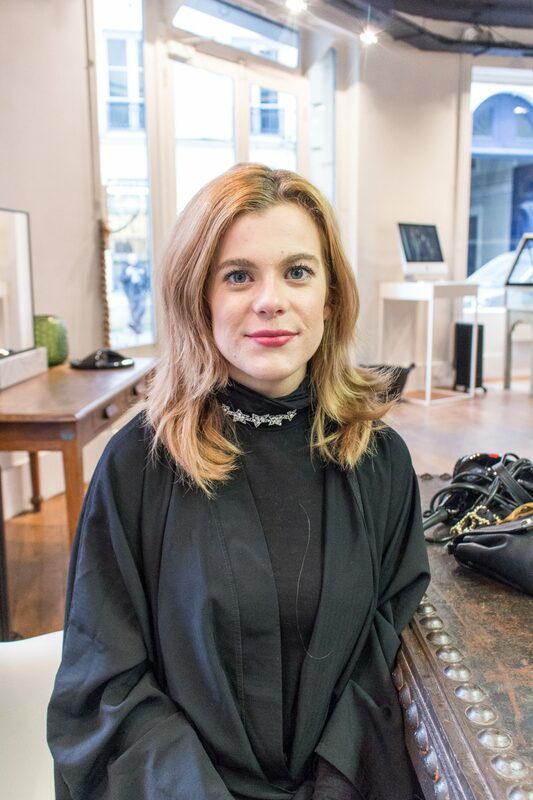 Marisol only stopped her globe-trotting services six months ago when she opened the Bon Marché location of the salon, now dedicating her time to her businesses in Paris and to her family. I came across her studio thanks to an American expat Facebook group, where one of her stylists (a New Yorker!) had posted advertising her services as a fluent English speaking hairstylist. So I teamed up with my blogger/Youtuber friend Kristina Wilde and went to go see what the fuss was all about. 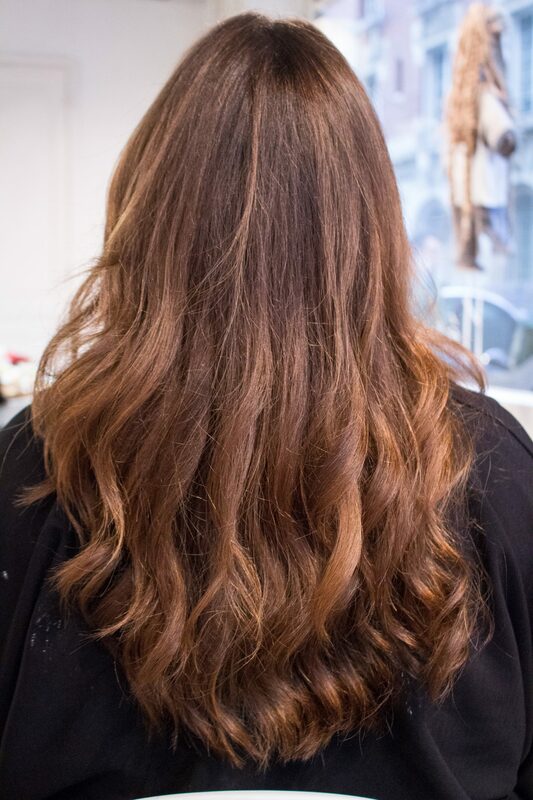 After taking some photos of the salon and speaking for only a few minutes with Marisol and her team of hair wizards (there’s really not a better name for them), I knew I was in excellent hands. Our expectations were not only met, but exceeded. Kristina and I are both VERY picky about our hair- as a blonde, her hair provides its own set of challenges, while I consider my hair to be one of my best features and as such am insanely careful with what I have done to it- and we both came away absolutely loving our cuts and colors. Not only that, but the team were SO kind to us, providing little sandwiches, pastries and juice for us (okay, mainly me- I hadn’t had lunch) to munch on throughout the experience. 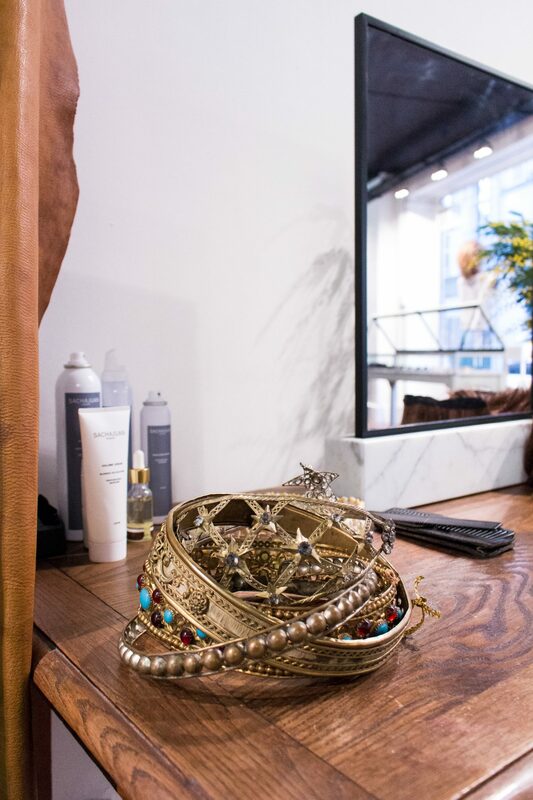 Not only would I fully recommend going back for the end results, but for the incredible ambiance and hospitality of the team as well- despite how cool the salon itself was, they made us feel right at home. 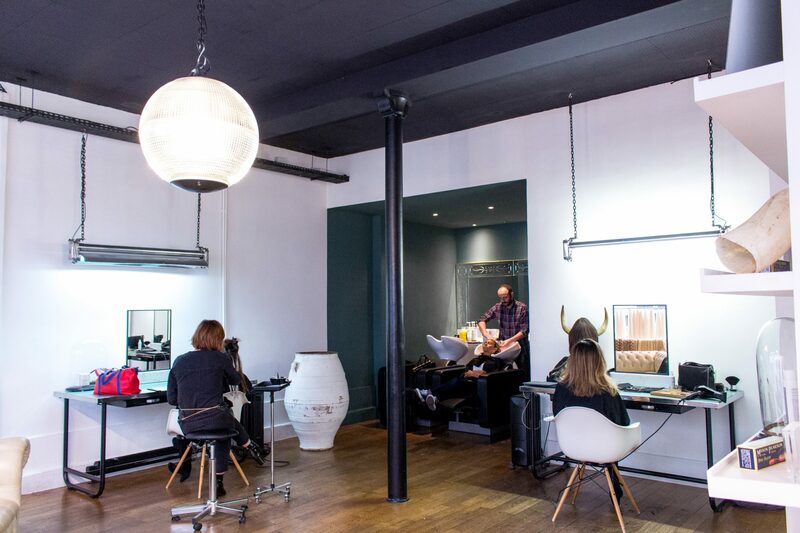 To call it the best English speaking hair salon in Paris is almost off to me- they’re so much more than that. Marisol loves having an international team- she herself is Spanish, my stylist was Japanese, Kristina’s was American, and our colorists were French. Not only are they extremely talented, the ability to provide services to people who speak so many languages from around the world is something I’ve never found in a hair salon before, and speaks even more to Marisol’s understanding of how much hair can be part of one’s identity. I hadn’t had a haircut in over a year and a half- honestly, it had been so long that I’m not even sure the last time I got it cut. 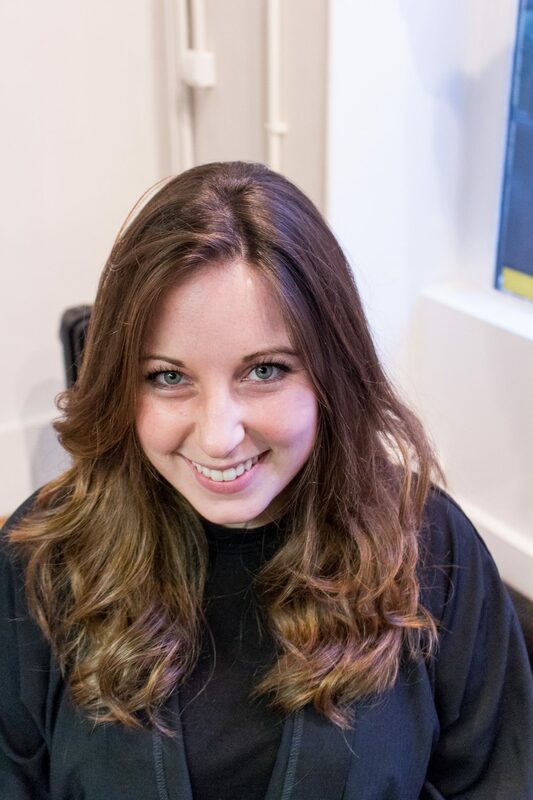 I do remember that the stylist didn’t layer it anywhere near as much as my thick hair needs (even though I knew and used the French word for layered, dégradé) and I ultimately wasn’t happy with the rather shapeless result. Not so this time! Midori chopped off a TON of my hair (which was badly needed) but left on a length that I was happy with, and redid my layers as well as thinning my hair, which brought out my naturally wavy texture (and felt like about 10 pounds was removed from my head). When she was done, my hair looked exactly like I had hoped it would look. Getting that much hair cut off is always scary, but I was in such good hands with Midori! Romain moved in next to give me a super natural looking balayage, which are painted on highlights that don’t use foils (so they’re better for the hair) and give a more natural, sun-kissed effect. The end result added dimension to my waves without looking like I had color done- exactly what I was going for! Kristina went into the experience much more apprehensively than I did, and with good reason- she has some hair salon horror stories that would make you cringe; unfortunately sometimes no matter how much you pay, the person may still not know how to handle your hair. She was in good hands with Katy, who took out a lot of the weight in her hair and gave her a bob with long bangs. Unlike me, Kristina’s not a fan of layers, and the cut was much more fashion-forward, which works for her personal style. Anne Lise then began the color correction, which involved dyeing the hair to match the roots coming in before doing a blonde balayage to get it closer to the color Kristina was looking for. The resulting color blended beautifully with Kristina’s natural hair color and complemented her skin tone, paving the way for a healthy, hair-friendly transition to her ultimate goal hair color. 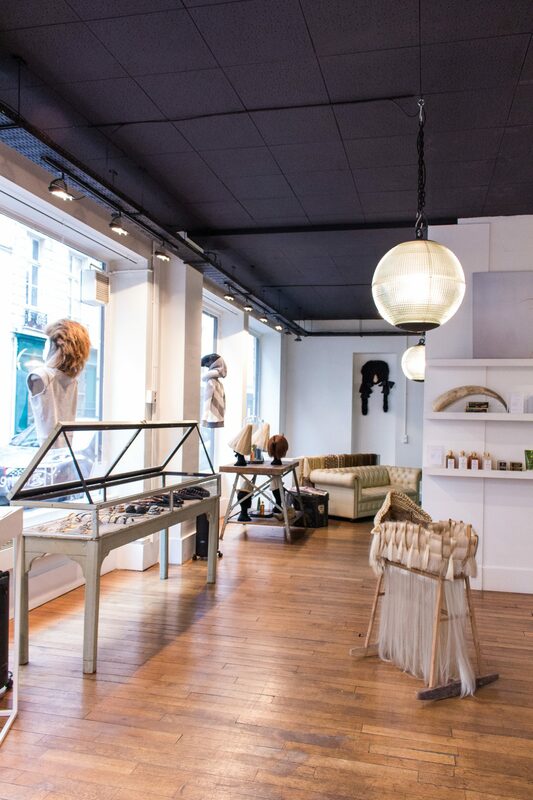 RIVE DROITE: Studio Marisol- 33 ter rue des Tournelles, 75003. Hours: Tuesday-Saturday 10:00-19:30. Phone: +33.1.44.61.18.34. RIVE GAUCHE: Studio Marisol Bon Marché- 24 rue de Sevres, 75007. Hours: Monday-Saturday 10:00-19:00 except Thursdays open until 21:00. Starting 12 March 2017, open Sundays 11:00-19:00. Phone: +33.1.71.37.86.21. There are two salon locations- one on rue des Tournelles in the Marais, and one at Le Bon Marché, the department store on the Left Bank. 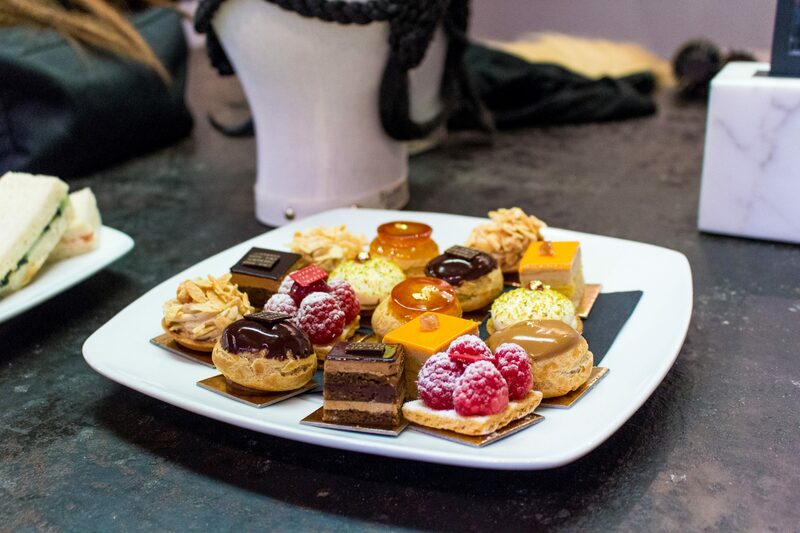 We were at the Marais location for our experience. Marisol and Katy (known as Ky at the salon) are the only two who work at both salons, so if you’re just looking for a cut and you only speak English, you can make an appointment at either location. However, if you’re looking for a stellar colorist who speaks English, come to the Marais location and ask for Anne Lise, who did Kristina’s color. Find them on Facebook and Instagram too! Loved this post or know someone who might? Pin it for future reference! DISCLAIMER: Studio Marisol invited Kristina and me to experience their services. All opinions are, as always, my own. Also, I think I need an appointment in this wonderful place. Hi Paulie! Thank you so much, I’m glad you loved it! Please feel free to share it wherever, and you should definitely look into making an appointment with them! What a great post. I am heading off on long term travel at the end of the year, and to be honest one of the things on my mind is how and where do I find a decent hairdresser! Problem now solved for Paris. Thanks very much. Oh, and your hair looks fab to. We were in Paris last year and had a ball – now need to catch up at write a post for my own blog reddoorponderings.com ! 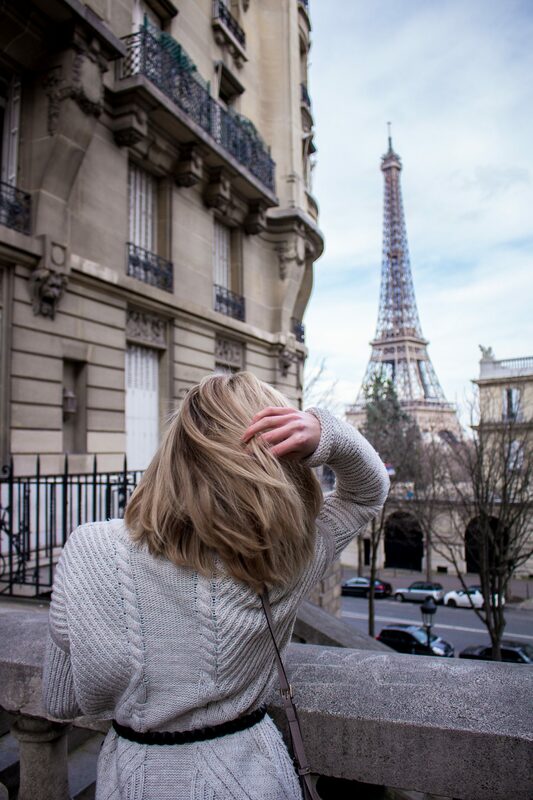 Lovely post; I’m an American living in Paris with hair that is way too long for the summer months! 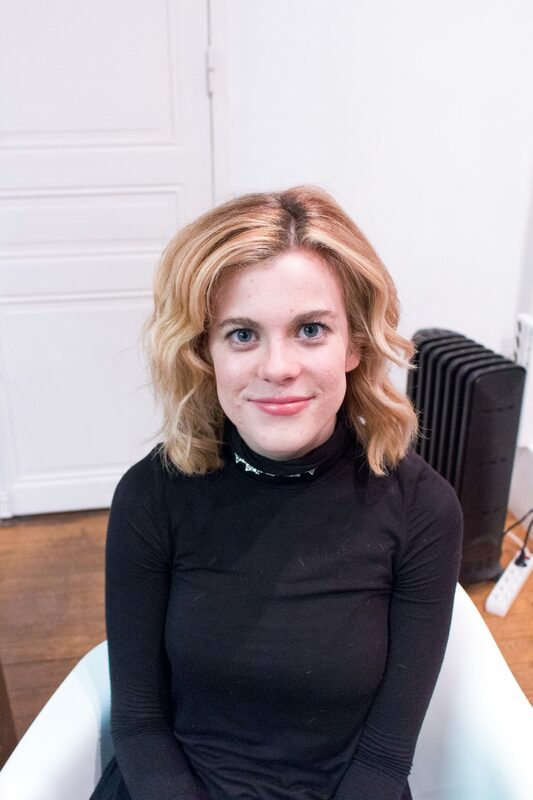 Can I ask what the price range is for a cut/color here? I wasn’t able to find that information on their website. Thanks! Hi Aliyah, as far as I know the cut is 120€ and color can vary depending on what you get. If you’re in any of the American expat Facebook groups though, you can probably find Katy’s posts and ask her directly! I believe her prices are different for house calls. Im also a foreigner living in France and i fret everytime i have to cut my hair!! I use a combination of frananglais and pray hard. So far it has worked. 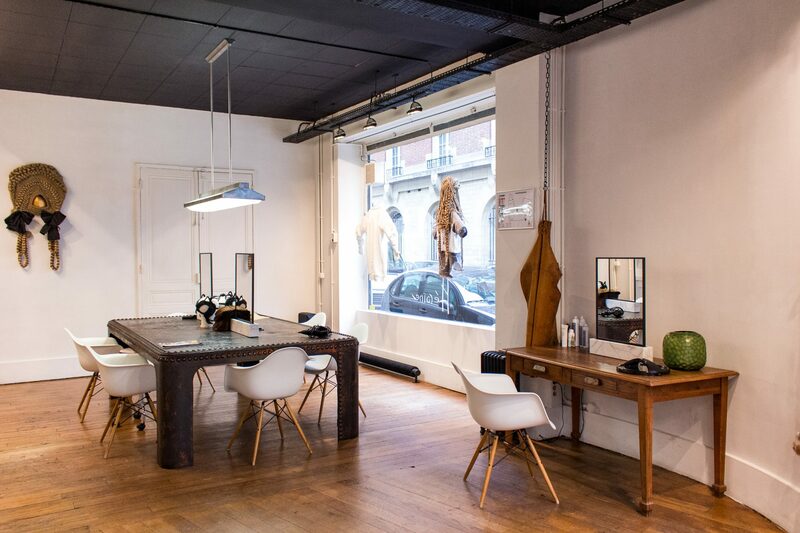 Too bad i don’t stay in Paris if not i wpuld really like give this salon a try. thank you for such lovely information! I do have a question, is there any place in Paris that does nails that are recommendable? Hi Alina! I haven’t had my nails done too many places in Paris, but there is an adorable place on rue Saint Maur called Nail Club that is owned by a lovely British woman. You can do your nails there yourself or you can get a manicure! love your article! 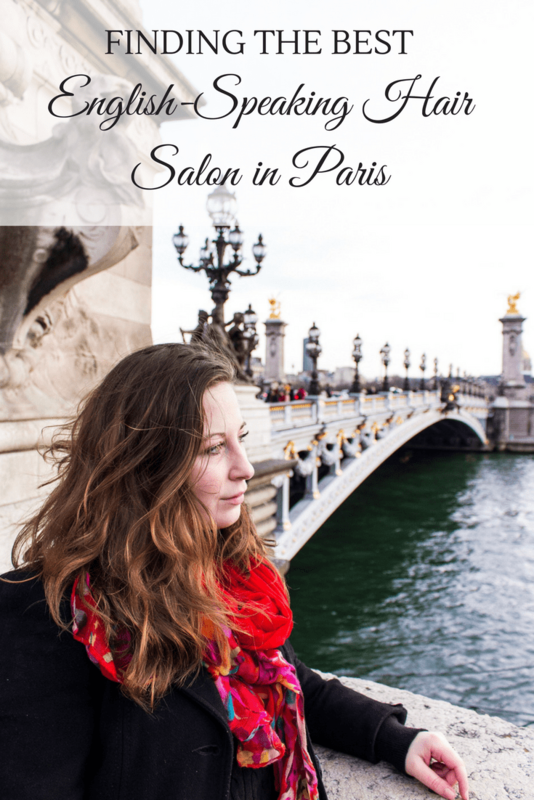 would you happen to know any english-speaking bridal hairstylist in Paris? Hi Perrine! Katy from Studio Marisol does house calls and I’m sure could do bridal hairstyles (or could recommend you someone who could). 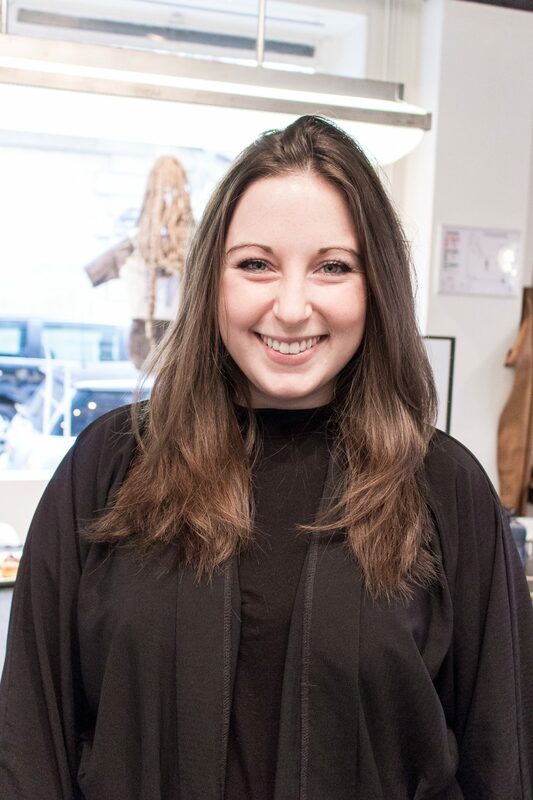 She’s most often at the Bon Marché location and goes by Ky at the salon if you’re looking for her! interesting read, was this a promotional post? Hi Cara, yes, which is why it is stated at the bottom of the post that the salon invited me to experience their services.